Creating a personal nutrition coaching experience starts with the nutrition consultation process, which means finding out the important personal information directly from your client. If you do not screen a client with an effective nutrition consultation procedure, chances are you will not really be creating a bespoke strategy, or you may miss vital information. That means you will need to correct mistakes time and time again in order to get it right. This wastes both parties’ time, and may reflect badly on your online fitness business. The easiest method to collect info is via a questionnaire form, which will permanently capture all the details you need and in sufficient quantity. Not only does a nutrition consultation package help you, but it also shows your client that you are a professional and are keen to learn more about them. A good consultation should make the client think long and hard about their current situation, lifestyle and goals. This is a vital element for people seeking help and change from you, the professional and paper format is usually best. If someone has just met you, or is worried of how you may react to their private information, asking them to write it on paper in private is much more effective. On paper, the client doesn’t feel like they are talking to a stranger, but they are actually talking with themselves when answering the questions. In return you will get more information and a better insight into their needs. Although paper format is usually the better option, it is still important to gain the user’s confidence, so they are happy to share the information. To achieve this, it is important to highlight the fact that all information will be kept confidential and will never be shared without permission and to comply with Data Protection Regulations. You should also request this in return, as you don’t want your information being shared for free. If you’re operating online, then the same can be applied. You could create a digital version of your consultation. I like TypeForm for doing this, and you can send a link to it whenever a client starts working with you. Over the years my own nutrition consultation package has evolved with experience. It initially started out as a sheet of questions, but has now formed a detailed 11-page document. Now my consultation is split into seven key sections; goal setting, general information, nutrition analysis, physical analysis, their pictures, motivational pictures and the food diary. It’s important to get a grasp on all of the topics, and we will look at the relevance of each throughout this blog. Firstly, we must consider the client’s goals within each section too. Your questions will help define the current situation and problems, but by including a goal setting section, you will find out where the client wants to be in the short and long term. To do this, it’s important to add facts and figures to these goals in order to get a detailed output, track progress and evaluate results. Having a solid set of goals with numerical relevance, helps you programme your plans, set realistic time frames and provide the correct advice at the right times. I know this might not be new to you, but many fitness coaches just skim over it. Do it right, and this technique ‘pulls’ the most information from the client, while also giving them a chance to think about their goals and how they will go about it. If you simply ask ‘what are your goals’, the typical answer is “I’m hoping to lose a few pounds.’ As we know, this is not a true goal, nothing has been defined, nor has the bigger picture been considered on how to get there. Experience says that this person would fail at trying to achieve this. Those who have worked with myself and achieved great results, had very specific and defined goals set in stone. This method also helps you to provide the right advice. If your client says they want to lose a stone in weight by not eating anything and doing endurance training every day, you will be able to react to this and provide the right coaching to achieve their goals. How are you feeling right this minute? How healthy do you currently feel? Why do you want to improve your diet/nutrition? How would you rate your current nutrition knowledge? As you can see, from just a small number of questions you can gather a lot of personal information that will benefit you. Something important to note here too - there is almost always an emotional attachment for someone who is looking to change their body or health. This is the perfect opportunity to find this out, so you can understand how that person may be feeling. It may also have an impact on their future actions or behaviors, and it can good to know how to deal with these in advance. This section of the nutrition consultation should look at the client’s previous nutrition history, along with some key information on current eating habits and lifestyle choices. It is important to ask about previous ‘diets’ or nutritional behaviours. This is an important aspect in learning what knowledge level they may be at, including their general state of health and well being. You can also take the opportunity to ask about the results they achieved in the past, and how they felt during them. This will give you vital clues as to how various protocols may affect them, helping you with a good starting point. You also need to find out what foods they do or do not like, including supplements, medication and any allergies/intolerances. There is no point offering suggested meals if the user does not like those foods. do they ever binge eat? what cravings might they get and when? You should also ask for the individual nutrition related goal at this point too, remembering to use the SMART principle. The physical training aspect of the consultation should look at all aspects of daily fitness and activity. This is an important component and should not be forgotten when nutrition coaching. Understanding the daily activities and exercise regime is critical to ensuring your plan reflects this. For example, there is no point suggesting a reduced carb strategy for an endurance runner who wants to improve their energy. They will likely crash and burn in a week. Here you should ask for current training/hobbies, how often they do it, and on what days and time. You should then schedule their optimal nutrition around this. Under this section you should also ask for the training related goals, remembering to use the SMART principles. The important factor to consider when goal setting is to ensure your nutrition strategy matches the goals of the user and to check that they do not conflict with the nutritional goal. For example, if someone wants to add lean muscle mass, but will also be training for the London marathon at the same time, then you have two conflicting goals here, and one should really take priority. This is your job, as their coach to highlight and discuss the best course of action. Getting up to date pictures are extremely important (even more so for online work) for creating tailored plans. How can you create a plan for someone yet not have a clue what they look like underneath their clothes? It is best to get high quality images, including full body shots. A front, side and rear picture is the ideal, with men wearing only shorts and women wearing gym vests and shorts. Most people have a picture of the ideal body they would like to achieve. Knowing what a client would like to achieve in the long term is great for further enhancing motivation and improving goal setting. You will also be able to discuss the best strategies and techniques to be used to achieve this look, and then start applying the best processes for continued progress. It is also important to discuss the realistic time frames possibly required in order to get there. For many this can be a bit of shock, as people still believe they can achieve a completely different body in 8 weeks. We know different – it can take years. The most important factor regarding a food diary is to ensure the right starting point. There is no better way to understand a client’s eating routine and food choices than asking them to track everything that is consumed. You can then tailor your strategy to remove any obvious issues while still respecting their lifestyle. Progress will be made and the integration process will as smooth as possible. For this section of the nutrition consultation I typically request all food, liquids and supplements to be recorded for at least 3 days. Feel free to continue this for as long as required in order to get a true representation of current eating habits. It is also best to get the client to record this as and when they eat it, stating the time, food items and rough serving size for each item. You can also add a comments box, to describe why they ate what they did and how they felt from eating it. This will further highlight their current nutritional habits and their general relationship with food. A great technique is to continue the food diary into the transition period – the first week or two of the new diet. Then everyone can see how accurate the new plan is being matched, and how far from the old diet they are moving. It makes for very interesting comparisons. 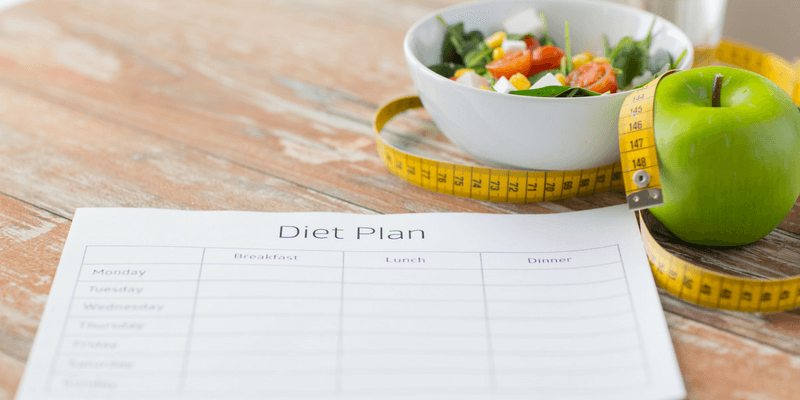 For some, transiting onto a completely new diet is very difficult, and this will be your main method to track the transition phases and to help with these. If a client isn’t a good match for detailed food logging like this, or keeps failing at it, then you should use a habit based approach instead. You can now see the importance of running an in depth nutrition consultation with all of your nutrition clients and the type of information you should be getting. You should now be able to interpret that information and use it to your advantage to create the right strategy first time around. By completing the nutrition consultation, you will get faster results and deliver people to their goals in the process. If you're currently creating your first nutrition focused consultation, then be sure to include all 7 ingredients. If you've already got an existing consultation, then be sure to review it while making any improvements as you go.